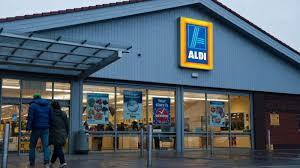 Budget supermarket Aldi has been voted the UK's favourite, overtaking Waitrose to steal their crown. In fact, Waitrose dropped to fourth in the countries annual satisfaction survey, after it has spent the last three years at the top of the pile. Value for money seems to have tipped the balance away from 'middle class' Waitrose, with cost becoming the main ingredient in shoppers preferences. Shoppers praised Ald's special offers, the quality of its fresh and own-label products, and the ease of finding items in the store. (I'm not sure on this one!). Sainsbury's finished bottom of the results heap in a survey of 7,000 shoppers. In the survey, Britons were asked about their shopping experience for groceries both in-store and online over the previous six months and the supermarkets were ranked in a range of categories. These included consumer's feelings about the appearance of the stores. queuing times. staff availability, the range and quality of products and value for money. 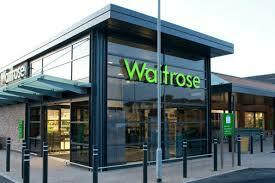 On the later, customers gave Waitrose a two-star rating in contrast to Aldi's five. As you might expect, all the supermarkets defended their ratings with Sainsbury's 'confused by the methodology used to create the rankings and Waitrose pointing out that it had been awarded five-star ratings for customer satisfaction in more categories than any other retailer in the study. ''Bad sports'', I'd say! The on-line rankings were interesting too, with Iceland claiming the top spot for the third year running, but sharing the title with Ocado for the first time. 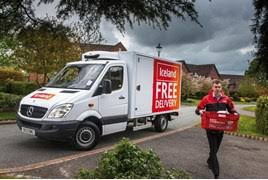 Icland received to ranking for its drivers' service and the availability of delivery slots. Asda ended up bottom of the online supermarket table, where it has now remained for more than ten years! Where did your favourite store finish?